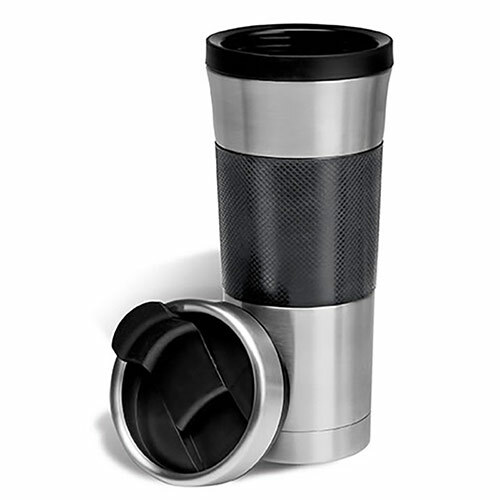 A quality travel mug with vacuum insulation and a sturdy aluminum body. These tall mugs have black plastic fittings on the lid and bod. 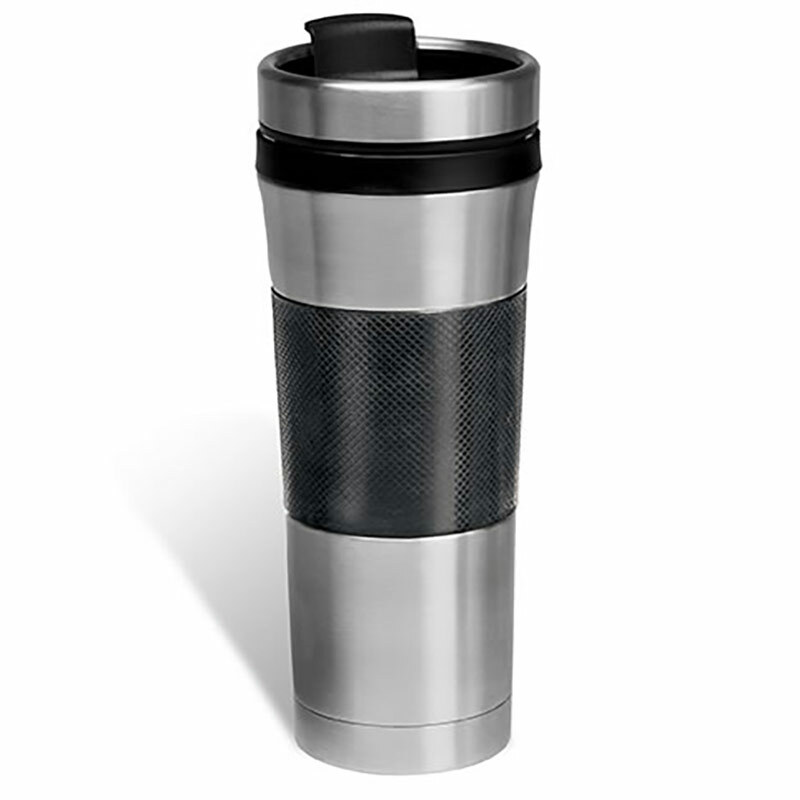 These 450ml capacity travel mugs can be customised by laser engraving into the stainless steel body and are offered here with free engraving of text and logos. Add your name or logo to these high quality travel mugs to create practical and stylish corporate gifts or promotional merchandise items.